Written by Chuck Dixon, art by Greg Land & Drew Geraci. Cover by Land & Brian Stelfreeze. The Birds of Prey 1st appearance was in Showcase '96 #3 and featured a Lois Lane, Black Canary, and Oracle team-up in an 18-page story titled "Birds of a Feather." 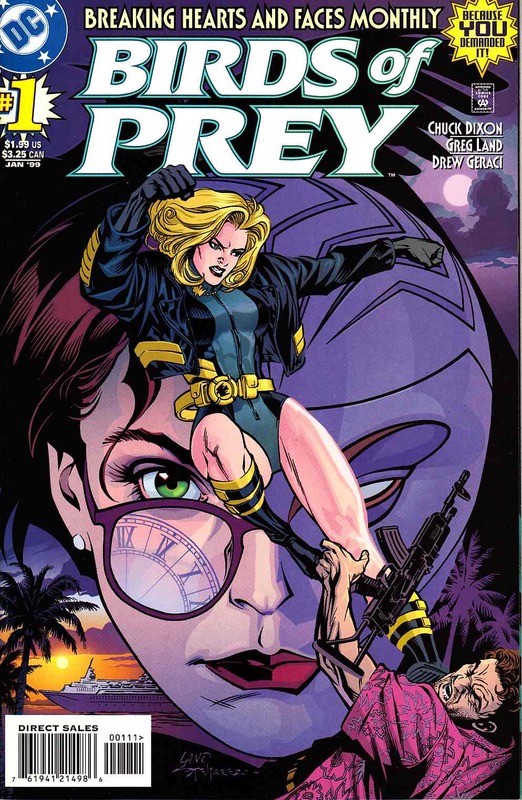 By the time Birds of Prey #1 appeared, the team members had changed, but the Showcase '96 #3 story is clearly the beginning of the Birds of Prey series.